I’ve been spending some time getting a few more achievements under my belt. 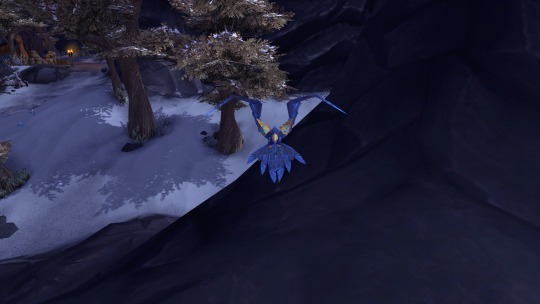 Earlier this week I finally collected the pets I needed to get the So.Many.Pets achievement and get myself a little Stormwing. He’s quite the cutie! 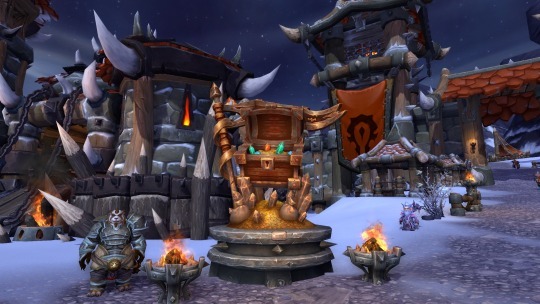 This evening I grinded out the last of the Apexis dailies to get another fabulous monument for my garrison. 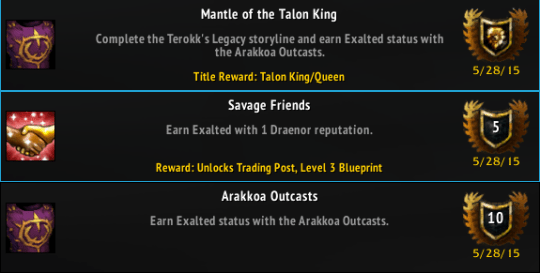 And in the process of getting my new monument, I got my first exalted rep in Draenor – Arakkoa Outcasts. I liked getting this one because one extra quest also gave me another achievement and a new title.